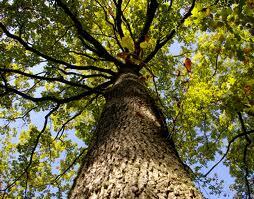 As you spend time daily meditating upon the Word of God you will become strong like a huge oak tree firmly planted. Secure and deeply rooted so the storms of life will not blow you away. A tree that is planted beside a river has a constant water source. As you stay planted by the river of God, your life will produce good fruit. So don’t move; stay firmly planted. Do not get discouraged, fruit is not produced overnight, fruit is produced over time. The river of God is a life source; it will never run dry. The river of God is His unconditional love. As you experience His love and forgiveness you receive more and more life. God’s love produces abundant life (A lot of life). All you do is continue receiving His love, and as love flows through you to others your life will produce fruit. Stay firmly planted by the fresh water source. Drink until you are refreshed with the water of His Word.